Well let’s start with the pasta the one food that has become synonymous with Italian cuisine and the base for macaroni and cheese. While it may be true that the most famous varieties and recipes of cooking pasta really do come from Italy, but surprisingly, the actual origin of pasta lies elsewhere. Pasta may have a much older pedigree, going back hundreds -if not thousands- of years. Unravelling the long and often complex history of pasta alone, we have to look at its origins and some of the myths surrounding it. So how did pasta make its way to Italy ? There is indeed evidence of an Etrusco-Roman noodle made from the same durum wheat used to produce modern pasta: it was called “lagane” (origin of the modern word for lasagna). However this type of food, first mentioned in the 1st century AD, was not boiled, as it is usually done today, but ovenbaked. Ancient lagane had some similarities with modern pasta, but cannot be considered quite the same (Serventi and Sabban 2002). Still looking at the origins of pasta, in the Talmud, The Talmud which means “instruction, learning”, is a central text of Rabbinic Judaism. The whole Talmud consists of 63 tractates, and in standard print is over 6,200 pages long. It is written in Tannaitic Hebrew and Aramaic. The Talmud contains the teachings and opinions of thousands of rabbis on a variety of subjects, including Halakha (law), Jewish ethics, philosophy, customs, history, lore and many other topics. The Talmud is the basis for all codes of Jewish law and is much quoted in rabbinic literature (Hazan 1993). It a particular section of the Talmud written in Aramaic in the 5th Century AD, there is a reference to itrium, a kind of pasta that was cooked by boiling, which was common in Palestine from the 3rd to 5th centuries AD (Serventi and Sabban 2002). During the Arab Conquests of Sicily in the 7th, 8th and 9th Centuries AD, it believed that African Arabs from North Africa ,specifically from Libya, are to be credited for bringing pasta, along with spinach, eggplant and sugar cane, to the Mediterranean basin (Watson, 1983). By the 12th century, the Italians had also learned from the Arabs methods for drying pasta to preserve it while traveling. (Watson, 1983) The Arabic invasions heavily influenced regional cuisine. Today, the presence of Arabic people, from North Africa to the Byzantine Empire to Turkey, in the south of the Italian peninsula during the Middle Ages is considered the most likely reason behind the diffusion of pasta in the Italian culinary landscape (Hazan, 1993). According to the “Macaroni Journal’ published by the Association of Food Industries Macaroni Journal, with the goal of promoting the use of pasta in the United States, it was believed that Venetian merchant and explorer Marco Polo brought back pasta from his journeys to China during the Yuan Dynasty (1271-1368). The Chinese had been consuming noodles as early as 3000 B.C. in the Qinghai province. There is even some evidence there of 4,000-year-old noodles made from foxtail and broomcorn millet. The modern pasta that we know of today was first described in 1154 by an Arab geographer, Idrisi, as being common in Sicily (Watson, 1983). In his journals, Polo also described Chinese noodles as being like “lagana”, which implies he was possibly already familiar with a pasta-like food before going to China. Furthermore, in 1279, there was a Genoese soldier that listed in the inventory of his estate a basket of dried pasta. Polo did not return to come back to Italy from China until 1295. So Marco Polo could not have brought pasta to Italy via China. It was already in Italy at that time. So in essence Polo did not discover pasta, but he rather “rediscovered” the product that was once popular in Italy among the Etruscans and the Romans. So turning our attention to macaroni, we find that the modern word “macaroni” is derived from the Sicilian term for kneading dough forcefully with energy, as early pasta making was often a laborious, day-long process. At that time, pasta dough was often kneaded with the feet for a significant amount of time. How these early macaroni dishes were served is not truly known, but many Sicilian pasta recipes still include typically Middle Eastern ingredients, such as raisins and cinnamon, which may be witness to original, medieval recipes. Which leads us to one of the “The Liber de Coquina”, or Book of Cooking, an Italian cookbook from the 13th Century. “Liber de Coquina”, one of the oldest medieval cookbooks and it includes a recipe called “de lasanis “that many culinary historians believe is the first macaroni and cheese recipe. The recipe calls for sheet pasta cut into two-inch (50-millimeter) squares, cooked in water and tossed with grated cheese, likely Parmesan (Wright 2013). Over the course of a century, the pasta and cheese casserole traveled from Italy to France. By the 14th Century it is a French dish of parmesan and pasta that was brought to England. A cheese and pasta casserole known as “makerouns” was recorded in a the famous medieval French cookbook “The Forme of Cury”, which was written in the 14th century. It was made with fresh, hand-cut pasta which was sandwiched between a mixture of melted butter and cheese. Title Page from the “Forme of Cury” Compiled in 1390 AD. “Take and make a thynne foyle of dowh. The first so called modern recipe for the dish was included in cookery by writer Elizabeth Raffald’s 1769 book “The Experienced French Housekeeper”. Raffald’s recipe is for a bechamel sauce with cheddar cheese, which is mixed with macaroni, sprinkled with parmesan and baked until bubbly and golden. 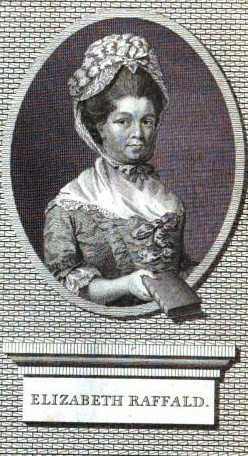 Engraving of Elizabeth Raffald, from the 1786 edition of The Experienced English Housekeeper. From 1769, macaroni and cheese grew in popularity across Europe. But the American macaroni and cheese has three main lines of culinary ancestry to be claimed. In the first, it is thought that macaroni and cheese was a casserole that had its beginnings in colonial America at a New England church supper. In southeastern Connecticut it was known long ago as macaroni pudding and probably originated from “receipts,” or recipes, passed along from English relatives. The dish was primarily reserved for the upper classes until the Industrial Revolution made pasta production easier. In the second, and perhaps the more famous story, and more than likely the original story, it is said that the classic American macaroni and cheese returned with Thomas Jefferson to Virginia after his sojourn in Italy. Jefferson had brought back a pasta machine from Italy in 1793. 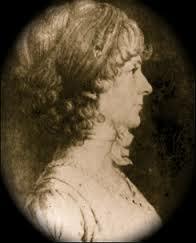 His cousin Mary Randolph (1762 –1828) became the hostess of his house after Jefferson’s wife died. Mary Randolph was a member of the Virginia elite, with roots extending back to the colony’s formative years. As the eldest of thirteen children of Thomas Mann and Ann Cary Randolph of Tuckahoe in Goochland County, she grew up surrounded with all the wealth and comforts enjoyed by families in the plantation homes. Along with her formal education, Mary Randolph was trained in proper household management practices, a quality expected of upper-class women of the time. Women were expected to supervise large manor houses with supporting buildings and numerous slaves. “Mary Randolph: A Chesterfield County role model for women of the 19th century”, states that women were relegated to secondary positions within the family hierarchy, but in truth they were the mainspring that kept the household running (Arlington National Cemetery Archives). Women of this period had numerous responsibilities for the household supported by a formable knowledge of food preservation and preparation and elegant entertaining. This knowledge was important throughout Mary Randolph’s adult life. With Mary’s knowledge of food and entertaining, invitations to dine in the Randolph home were coveted. Mary’s skills as a hostess and cook, along with her slaves, were well known in the area surrounding Richmond Virginia. In fact, her reputation was so widespread that during the slave insurrection near Richmond in 1800, the leader “General” Gabriel announced that he would spare her life so that she could become his cook (Arlington National Cemetery Archives). Mary is credited with “inventing” the dish using macaroni and Parmesan cheese. And thirdly, this is where history took a turn and left out one of the most important characters in the culinary origins of macaroni and cheese and how it became an American staple at the dinner table. James Hemings (1765-1801), who was a slave owned by Thomas Jefferson, was among the first chefs in America to serve macaroni and cheese. The story of James Hemings is a fascinating one, as told by Madison Hemings, his nephew. James Hemings was one of twelve children of Elizabeth (Betty) Hemings (Gordon-Reed, 2008). James’ mother was said to be the daughter of a “full-blooded African” and a white sea captain who is only known as Captain Hemings, and in being a slave, she was the “property” of John Wayles, “a Welchman” (Hemings,1873). Betty Hemings became Wayles’s slave concubine sometime following the death of his third wife. James was the second oldest of the six children that union was said to have produced (Hemings, 1873; Stanton, 2000). Wayles was a lawyer, a wealthy Virginia landowner, and heavily involved with the slave trade. Madison Hemings (1805-1877) was the son of Sally Hemings and Thomas Jefferson. He was also the nephew of James Hemings. Madison was freed by Thomas Jefferson’s will in 1826. He moved to Ohio, following the death of his mother Sally in 1835, where he worked as a carpenter and farmer. Madison’s memoir, as told to S.F. Wetmore, was originally published in Ohio’s Pike County Repubican in 1873. John Wayles was also the father of Thomas Jefferson’s wife, Martha, through his first marriage to Martha Eppes. Thus, Martha Jefferson was half-sister to James and his five full siblings, including Sally Hemings. Upon Wayles’s death in 1773, Jefferson inherited through his wife 135 slaves, including Betty Hemings and her children. James Hemings became the property of Thomas Jefferson in January of 1774 when the estate of John Wayles, Jefferson’s father-in-law, was settled (Gordon- Reed, 2008). He was nine years old at this time. Later that year, James and his brother Robert were taken to Monticello. Known also as Jemmy, Jim, Jamey, and Jame, this young slave would grow up serving Jefferson as house servant, messenger, driver, traveling attendant, and eventually chef (Gordon- Reed, 2008). James benefited from the special status accorded by Jefferson to many members of the Hemings family. He received better apparel than other slaves and was assigned to household duties rather than to work in the fields. But nonetheless, he was still a slave. Only Betty Hemings’s sons were permitted to hire themselves out to other masters and keep the wages they earned (Stanton, 2000). Perhaps the most rewarding time of James’s service began in 1784 when Jefferson was appointed minister plenipotentiary in Paris by Congress. Together with John Adams and Benjamin Franklin, Jefferson had the responsibility of negotiating treaties of amity and commerce with European countries. On the same day Jefferson assumed his diplomatic role he wrote to his future secretary William Short that he wished to take his servant James with him to France “for a particular purpose.” He asked Short to notify James, and if possible to bring James with him when Short traveled to Philadelphia to meet Jefferson. If that was not possible then Short was to direct James to “immediately come on to me at Philadelphia” (Thomas Jefferson Papers, 1784). The particular purpose Jefferson had in mind was to have James trained in the art of French cookery (Stanton, 1993). James was nineteen years old when he sailed from Boston with Jefferson and his daughter Martha, familiarly called Patsy, early on the morning of July 5, 1784 (Stanton 2000) along with his younger sister Sally who was about fourteen years old at the time, and was the slave who bore six of Jefferson’s children. James and Sally were half-siblings to Jefferson’s wife, Martha and therefore Uncle and Aunt to Patsy. The travelers arrived in Paris on August 6, 1784. James was apprenticed to a traiteur (caterer) named Combeaux who provided Jefferson’s meals during the first year of his stay in Paris (Rice 1976). He subsequently trained under Jefferson’s female cook, and also a pastry chef, as well as with a chef of the Prince de Condé. James learned quickly and in 1787 became the chef de cuisine at the Hôtel de Langeac which was Jefferson’s private residence on the Champs-Elysées. He received wages, albeit half those of the previous cuisinière, and used a portion to pay a tutor for French lessons (Stanton, 1993). The future American president Thomas Jefferson encountered macaroni both in Paris and in northern Italy. He drew a sketch of the pasta and wrote detailed notes on the extrusion process. In 1793, he commissioned American ambassador to Paris William Short to purchase a machine for making it. Evidently, the machine was not suitable, as Jefferson later imported both macaroni and Parmesan cheese for his use at Monticello (Malone, 1948). James Hemings was freed by Jefferson in 1796 (Thomas Jefferson Papers, 1796) on the condition that James would train his younger brother Robert to replace him as chef in the Jefferson household. Sadly, James died at the age of 36. His only material legacy was an inventory of kitchen utensils and four recipes. Hemings’ considerable and historic influences on American food and culture including the introduction of macaroni and cheese, ice cream, whipped cream, and French fries for the first time in America, have long been attributed to Thomas Jefferson who, for the most part, has been wrongly credited with creating these dishes, which were actually Hemings’ genius adaptations of French haute cuisine (McElveen, 2016). Despite Hemings’ contributions to the culinary world, sadly, there are no written reminiscences from this intelligent literate man, himself, in his own hand. In 1802, Jefferson served a “macaroni pie” at a state dinner, more than likely prepared from a recipe by James Hemings and cooked by his brother Robert. Since that time, the dish has been associated with the United States. 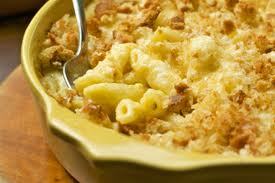 A recipe called “macaroni and cheese” appeared in the 1824 cookbook “The Virginia Housewife” written by Mary Randolph. It is believed that Randolph’s recipe may have been one of James Hemings creations. It had three ingredients: macaroni, cheese, and butter, layered together and baked in an oven. 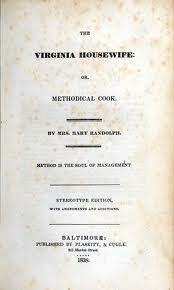 The cookbook was the most influential cookbook of the 19th century. Mary Randolph’s “The Virginia Housewife,”1824. Source: Feeding America: The Historic American Cookbook Project. Michigan State University Library. Similar recipes for macaroni and cheese occur in the 1852 Hand-book of Useful Arts, and the 1861 Godey’s Lady’s Book. “The macaroni, (which should be “tender but perfectly firm, no part being allowed to melt, and the form entirely preserved” – lest one be tempted to cook it for so long it actually disintegrated) is then topped with more cheese, pepper and breadcrumbs, before receiving a final dose of melted butter for good measure and being placed before a “bright fire” to brown the crumbs, or grilled with a salamander “[Beeton,1861]. Title Page to “Mrs. 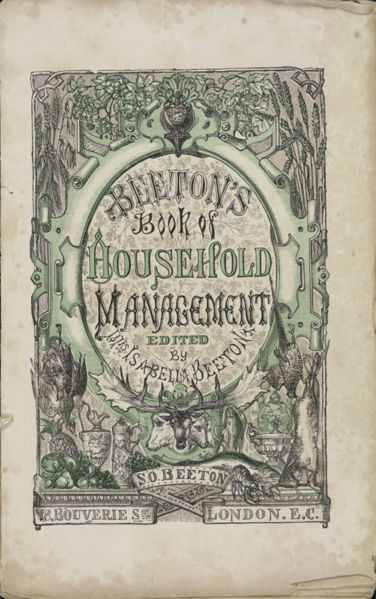 Beeton’s Book of Household Management” by Isabella Beeton, published in 1861. By the mid-1880s, cookbooks as far west as Kansas included recipes for macaroni and cheese casseroles. Factory production of the main ingredients made the dish affordable, and recipes made it accessible, but not notably popular. As it became accessible to a broader section of society, macaroni and cheese lost its upper class appeal. Fashionable restaurants in New York ceased to serve it (Kummer, 1986). By the 20th Century, the familiar blue box: Kraft Macaroni and Cheese Dinner, was introduced to the American public in 1937, at the end of the Great Depression (Kraft Food Group). It was called “the housewife’s best friend, a nourishing one pot meal,” because it was a fast, filling and inexpensive way to feed a family. In that year alone, more than 8 million boxes were sold, and the popularity of the Kraft box dinners continues today mainly because every American child has grown up with macaroni and cheese. Kraft Macaroni and Cheese Box Dinner, 1937. Over the years, every home cook has homemade recipes that include pasta, butter or cream, and Parmesan cheese, American cooks often improvised, using cheddar, Colby or more affordable processed cheeses like Velveta, and spices like nutmeg and mustard. Today, gourmet versions call for a variety of cheeses, including Gruyère, smoked Gouda, Monterey Jack, Havarti, and goat, and add-ins like bacon, tomatoes, shallots and even truffles. Macaroni and cheese is the ultimate universal comfort food. No matter how old you are, macaroni and cheese fills your belly and soothes your soul. There is nothing better in all world than a hot bowl of pasta and melted cheese with all of its awesome gooeyness that can put a smile on anyone’s face. 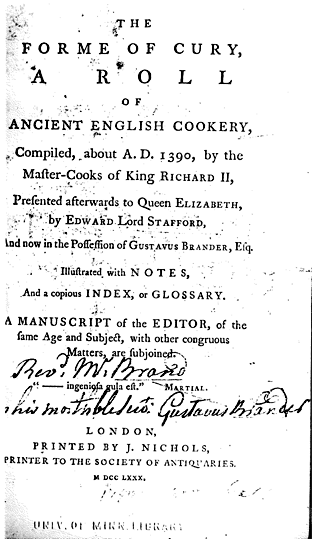 The Forme of Cury: A Roll of Ancient English Cookery. Complied in 1390 AD. Beeton, Isabella. (1861). “Mrs. Beeton’s Book of Household Management “. London: S. O. Beeton Publishing. Gordon-Reed, Annette. (2008). The Hemingses of Monticello: an American Family. New York: W.W. Norton & Company. Hazan, Giuliano. (1993). The Classic Pasta Cookbook, Dorling Kindersley. Hemings, Madison (1873). Interview published as “Life among the Lowly,” No. 1, Pike County (Ohio) Republican, March 13, 1873. The James Hemings Foundation. “Master Chef, Culinary Innovator, Teacher, Maitre D’hôtel, Valet, Slave, American”. Malone, Dumas.(1948-1981). Jefferson and His Times, 6 Volumes. Boston: Little, Brown & Company, Publisher. Raffald, Elizabeth. 1769. The experienced English housekeeper: for the use and ease of ladies, housekeepers, cooks, and etc. London: J. Harrop, Publisher. Rice, Howard C. 1976. Thomas Jefferson’s Paris. Princeton, New Jersey: Princeton University Press, pp. 13, 40. Serventi, Silvano and Sabban, Francoise (2002). Pasta: The story of a universal food (translated ed.). New York: Columbia University Press. Stanton, Lucia. (1993) “The Research File: From Plantation Fare to French Cuisine.” Monticello Newsletter 4, Number 2. Stanton, Lucia. (2000). “Those Who Labor for my Happiness”: Slavery at Thomas Jefferson’s Monticello. Charlottesville, Va.: University of Virginia Press. Watson, Andrew M. (1983). Agricultural innovation in the early Islamic world. New York: Cambridge University Press. pp. 22-23. This is excellent work. Great research. Hi there! I really enjoyed reading this article but there was one detail I was hoping for which I didn’t find, and I am hoping maybe you know the answer: In many of the old recipes I see for macaroni, the reader is instructed to first break the macaroni into little pieces. Modern macaroni already comes in little pieces, so I am wondering what Victorian macaroni was like; was macaroni just another word for spaghetti? Or was it the curved hollow tube shape we know, but just longer (long enough to be broken by hand)? Great Question! As you know there is no one definitive answer, when it comes to unraveling the culinary history of food. When the Greeks established colonies in what is now Naples Italy, they adopted a dish made by the natives, made up by barley-flour pasta and water dried to the sun, which they “macaria”. There are also references to pasta dishes in the ancient Rome, which date back to the 3rd century before Christ. In fact, the Roman Cicero himself speaks about his passion for the “Laganum”, the “laganas”, which are strips of long pasta (wheat-flour pasta shaped as wide and flat sheets). During that time, the Romans developed instruments, tools, procedures (machines) to manufacture the pasta for lasagna. Ever since, cereals have exhibited great facilities for both its transportation as well as its storage. It was the Roman expansion and dominion which fostered the harvest of cereals in the whole Mediterranean basin.Rome’s granary par excellence was Sicily, but what and cereals were “imported” from the Mediterranean strip of Africa and the Lebanon, and later on, during Augustus’ empire, from Spain, Sardinia and Syria. About 400,000 tons per year are estimated. The guaranty that each inhabitant could receive his/her necessary ration of cereals depended on the important maritime traffic, subject to storms, shipwrecks and inexperience; and it also depended on the storage capability as well as on the care of the stored goods. The term macaroni, with which a type of long pasta is currently referred to, is found in writings of Roman writers since the first centuries of the modern human era. Platina, curator of the Vatican library, wrote in the 12th century that macaroni with cheese were a legacy from the kitchens of Genoa and Naples, where its inhabitants ate everyday. In a book called “The Cooking Pan”, from the 13th century, it was determined that lasagna was eaten as pasta strips in enriched broths. The term “laganas” is found in the book named “Of the Culinary Art” from Apicio. In a Codex from the 13th century, which can be found in the University of Bologna, we can reed the description on how lasagna is made. On the other hand, it very likely that pasta reached Naples from Greece; Naples was once a colony of the Greek empire. “Apicius” is a collection of Roman cookery recipes, usually thought to have been compiled in the late 4th or early 5th century AD and written in a language that is in many ways closer to Vulgar than to Classical Latin; later recipes using Vulgar Latin (such as ficatum, bullire) were added to earlier recipes using Classical Latin (such as iecur, fervere). The name “Apicius” had long been associated with excessively refined love of food, from the habits of an early bearer of the name, Marcus Gavius Apicius, a Roman gourmet and lover of refined luxury, who lived sometime in the 1st century AD during the reign of Tiberius. He is sometimes erroneously asserted to be the author of the book that is pseudepigraphically attributed to him. Apicius is a text to be used in the kitchen. In the earliest printed editions, it was most usually given the overall title De re coquinaria (On the Subject of Cooking) and attributed to an otherwise unknown Caelius Apicius, an invention based on the fact that one of the two manuscripts is headed with the words “API CAE” or rather because there are a few recipes attributed to Apicius in the text: Patinam Apicianam sic facies (IV, 14) Ofellas Apicianas (VII, 2). “Apici excerpta” by Vinidario survives in a single 8th century uncial manuscript, and is described as a “pocket Apicius” . In Medieval culinary history, pasta was already widely accepted in Spain, most of all starting from the 14th century, the era of the Spanish viceroyalty in Naples. It should be noted that the first printing of Apicius appeared in 1483 and between 1498 and 1936 there have been 14 editions of the Latin text. Among these editions you will find a recipe for “macaroni and cheese” where the large lasagna sheets are broken up in pieces, as it has been described. Fresh pasta was used and appreciated in Italy since the time of the Etruscan and the Romans. The large-scale spread of the pasta dough did not take place until methods were developed among home cook in developing a viable drying technique in the 12th century. The paste was first exposed to the sun, because it would lose most of the moisture, and then transferred indoors, moderately heated in braising pans, so as to get rid of the residual moisture. Reference have been found in the Arabic Al-Idrisi, confirming that this technique came from the Arabs of who brought their version of pasta to Sicily. With the Arabian method of preservation, the pasta recipes literally travel from Sicily to Liguria. Pasta made in this region used the only wheat, which was dried and worked to perfection on site, thanks to the mild and windy climate of the Ligurian coast. In Genoa in 1316 it is recorded that the use of this technique was the invention of this Maria Borgogno, “quae faciebat lasagnas.” In those years the dough spread like wildfire. By 1337, the birth of the first Guild of Pastai, occurred in Florence and corporations began to form throughout Italy were also part of the Fornai. In 1571 Naples established a culinary artisan guild entitled”Art of Vermicellari”. The Genoese respond almost immediately (1574) with the corporation of fidelari, a grouping of producers of “fidei” (the fidelini, a long thread-like pasta) and Formaggiari (pasta with cheese there immediately got on agreement). In 1605 the Sicilians eventually remembered their pastaiole traditions and founded in Palermo “La Maestranza of Vermicellari” culinary guid.The independent guilds proliferated when the producers of a certain good are many, there is a need to standardized and set specific rules. And given the that the manufacturers numerous, so were there are many consumers. For the production of dough, things went well very well for years. In 1450 Maestro Martino, chef of the Reverend Monsignor Camerlengo et Patriarch of Aquileia, published a series of recipes made with macaroni. Loosely translated, the recipe called for a cook to do a little “impression” in the dough made with flour and water, and rolled. The rolled dough is then cooked in water or broth, for about two hours. Finally, the coup de grace: Maestro Martino recommended to serve with sweet spices. Macaria or Makaria (Greek Μακαρία) from ancient Greek religion and mythology.A goddess Macaria (‘μακαρία’, literally ‘blessed’) and is the daughter of Hercules. In the Heracleidae of Euripides, Macaria (“she who is blessed”) is a daughter of Heracles. Even after Heracles’s death, King Eurystheus pursues his lifelong vendetta against the hero by hunting down his children. Macaria flees with her siblings and her father’s old friend Iolaus to Athens, where they are received by Demophon, the king. Arriving at the gates of Athens with his army, Eurystheus gives Demophon an ultimatum, threatening war upon Athens unless Demophon surrenders Heracles’s children. When Demophon refuses and begins to prepare for war, an oracle informs him that Athens will be victorious only if a noble maiden is sacrificed to Persephone. Upon hearing this, Macaria sees that her only choice is immediate death on the altar or eventual death at the hands of Eurystheus. Since in neither case will she be granted a normal, happy life, she offers herself as the victim to save the welcoming city and its inhabitants, declining a lottery that would put other girls at risk. The Athenians honored her with lavish funeral rites, and the myth has an aetiological aspect: the spring where she died was named the Macarian in her honor. Hence the name for the month of March, which honors her and the beginning of the seasonal Spring. Macria seems to have embodied a blessed death; in the Suda, her name is connected to the figure of speech “be gone to blessedness,” instead of misery or damnation, which may be euphemistic, in the way that the dead are referred to as “the blessed ones.” The phrase was proverbial for those whose courage endangered them. The academic consensus supports that the word is derived from the Greek μακαρία (makaria),] a kind of barley broth which was served to commemorate the dead. In turn, that comes from μάκαρες (makares) meaning “blessed dead”, and ultimately from μακάριος (makarios), collateral of μάκαρ (makar) which means “blessed, happy”. However, the Italian linguist G. Alessio argues that the word can have two origins. First, from the Medieval Greek μακαρώνεια (makarōneia) “dirge” (stated in sec. XIII by James of Bulgaria), which would mean “funeral meal” and then “food to serve” during this office (see modern Eastern Thrace’s μαχαρωνιά – macharōnia in the sense of “rice-based dish served at the funeral”), in which case, the term would be composed of the double root of μακάριος “blessed” and αἰωνίος (aiōnios), “eternally”. Second, from the Greek μακαρία “barley broth”, which would have added the suffix -one. Hence “macaroni” comes from Greek which evolved from Latin to give us the Italian word “maccheroni” [makkeˈroːni], plural form of maccherone. As the centuries went by, pasta continued to appear in the tables of Italy with different names. For example, in the 1400s pasta was called “lasagna” and pasta manufacturers were referred to as “lasagnare”. But between the 1400s and the 1800s, the modern “lasagne” and the “vermicelli” the “fidelli” were born. Vermicelli and fidelli were pasta threads with a cylindrical shape. And during this time, the pasta manufacturers became the known as the “fidellai”. In 1475, The Guild of Pastai printed the first book of world cuisine. It is titled “De honesta voluptate”, and is the author Bartolomeo Sacchi, called the Plàtina. It is Sacchi who is credited with bringing the dough and the art of pasta making to France, at the court of Catherine de Medici, and her influence and couturiers and cooks were the a driving force for other kitchen products and culinary creations seen during the Italian Renaissance and what became the bases of classic French cooking. In 1548 Cristofaro from Messisburgo, was a steward in Ferrara, at the court of cardinale Ippolito d’Este, Cristofaro published the “Book Novo”, which was a cookbook with several macaroni recipes. At that time, all pasta dough including macaroni was still being made by hand. Rolled pasta like macaroni is mentioned as well as pasta sheets broken up into smaller pieces and cooked with egg and cheese. In Sicily, where it seems already existed for some time, this machine called the “ncegnu”, or “arbitriu”: the dough of durum wheat semolina and water was pressed with a piston in a cylinder of wood, from which, through a die copper equipped with round holes, they became the “vermicelli”. Longer than handmade ones, which typically did not exceed the length of a finger (from which “small worms”). In his second book, “Liber de coquinaria art”,Cristofaro cites the “ingenuity” of this “industrial” made dough being made in Sicily by, the first rudimentary extruder to produce the long pasta, vermicelli. It is speculated that this when the extruding machines that manufactured tubes of pasta were invented. At the onset of the 17th century Naples also began the mass production of pasta using similar rudimentary machines found in Sicily. However, it was in Naples were the maximal level of perfection in its manufacturing process took place, with a higher precision in Gragnano, a few miles away from the city of Partenopea, the site where the way of drying and preserving pasta was also perfected, thanks to the special climate created by the alternative of the (dry) Ponentino winds and the (warm and humid) Vesubiano winds, which generated the conditions for an excellent manufacturing process of pasta, laid out to dry on the streets. The extension of the kneading machine and the invention of the press, made it possible to produce pasta at a low prices. This is the way in which it became the food of the people. In 1740, in the city of Venice, Paolo Adami, was granted the license to open the first pasta factory. A hundred years thereafter, in Amalfi, water mills and stone grinders started to be used, where the semolina was separated from the bran. The machines brought along with them the development of the market, skills and exports across the ocean. Somewhere around 1750s, macaroni reached the English Shores. And by 1760s, the “macaroni” – as they called them in England – became a symbol of wealth and sophistication. In London there was even a “Macaroni Club”, which apparently was one of the temples of dandyism. It is said that Thomas Jefferson brought macaroni to America, and with the typical American pragmatism, many believed it as was done out of his curiosity and vanity in fabricating the pasta with a machine he bought in Italy for himself. For early Americans,”macaroni” was a synonym of strangeness and exoticism: the protagonist of the ballad “Yankee Doodle Dandy” walks around the city with a feather in his cap and called it “maccarone”. From the Italian point of view, it is more likely that macaroni pasta arrived in the U.S. along with thousands of emigrants, whose longing was fueled by a desire for closeness with the flavors of their native homeland, and therefore they brought with them to America the various shapes of pasta from spaghetti to macaroni. In these modern times, macaroni is defined as a variety of dry pasta traditionally shaped into narrow tubes, produced in various shapes and sizes and made with durum wheat. Macaroni is commonly cut in short lengths; curved macaroni may be referred to as elbow macaroni. Some home machines can make macaroni shapes, but like most pasta, macaroni is usually made commercially by large-scale extrusion. The curved shape is created by different speeds of extrusion on opposite ends of the pasta tube as it comes out of the machine. The many variants of tube shaped pasta and sometimes differ from each other because of the texture of each pasta: rigatoni and tortiglioni, for example, have ridges down their lengths, while chifferi, lumache, lumaconi, pipe, pipette, etc. refer to elbow-shaped pasta similar to macaroni found in North America. In North America, the word “macaroni” is often used synonymously with elbow-shaped macaroni,as it is the variety most often used in macaroni and cheese recipes. In Italy, the noun maccheroni refers to straight, tubular, square-ended pasta corta (“short-length pasta”). Maccheroni may also refer to long pasta dishes such as maccheroni alla chitarra and frittata di maccheroni, which are prepared with long pasta like spaghetti. So the short answer, given the social classes of the Victorian Era (circa 1837-1901), I would speculate that the upper class may have enjoyed the tube shaped pasta, since it was more of a status symbol. And among the commoners, it may have been the sheets broken up into small pieces, since the large sheets of pasta were relatively inexpensive at the time. So that is my best possible answer to your question. Maybe I should do an update to the original post. What, exactly, is an, “African Arab.”? Thanks. Great Question. Based on observation, it all depends from which lens through history one is looking through. African Arabs also known in the historical records as North African Arabs (Arabic: عرب شمال أفريقيا‎ “‘Arab Shamal Ifriqiya”) or “Maghrebi Arabs” (Arabic: :العرب المغاربة‎ “al-‘Arab al-Maghariba”) and are the inhabitants of the North African Maghreb region whose native language is a dialect of Arabic and identify as Arab. This ethnic identity is a product of the Arab conquest of North Africa during the Arab–Byzantine wars and the spread of Islam to Africa. The migration of Arab tribes to North Africa between the 7th and the 11th centuries was a major factor in the linguistic and cultural Arabization of the Maghreb region, mainly Beni Hassan, Banu Hilal and Banu Sulaym. Genteically, Maghrebis are of Berber descent, whether they are Arabic or Berber speakers. There are also genetic contributions from indigenous African tribes, Romans, Carthaginian Phoenicians, Greeks, enslaved Africans and Europeans and even Arab tribes. But primarily they derive their ancestry from the indigenous Amazigh (Berbers).It should be noted that most non-peninsula Arabs are descended from pre-Arab inhabitants be they Iraqis (Babylonians, Arameans, Persians, Kurds), Syrians (Arameans), Lebanese (Phoenicians), Palestinians (Biblical Hebrews, Canaanites, Crusaders), Egyptians (Egyptians), Sudanese (Nubians) or Maghrebis (Berbers). It should be noted that Arab identity comes from language and culture rather than genetic descent. Culturally, most Maghrebi consider themselves Arab, even though many Arabs would disagree. Are they Arab in the Middle Eastern sense? Definitely not, but most Maghrebi feel Arab based on the Arabic-Islamic culture, which was the high culture of the region for all peoples, whatever their ethic or genetic background and that Berber as well as Arab dynasties enforced this culture at the government level over the centuries as well as during colonization by Europeans, in particular the French. The “second colonial empire” of the French, which began with the conquest of Algiers in 1830 played a huge part as the identity of African Arabs was further engrained during colonization. The French called all African Arabs either Algerians, Moroccans and Tunisians Arabs. The French didn’t bother with borders or ethnic differences. That was the generic term they used without bothering with the ethnic specificities. The second colonial French empire came to an end after the loss in later wars of Indochina (1954) and Algeria (1962), and relatively peaceful decolonizations elsewhere after 1960. For the most part, the descendants of the original Arab colonizers/settlers who continue to speak Arabic as a first language currently form the single largest population group in North Africa.